We like weird around these parts, so I'm delighted to peruse the latest lineup of upcoming releases from the venerable Criterion Collection and declare it "weird." Largely because I've never heard of some of these films, which I now admit makes me feel pretty ignorant. 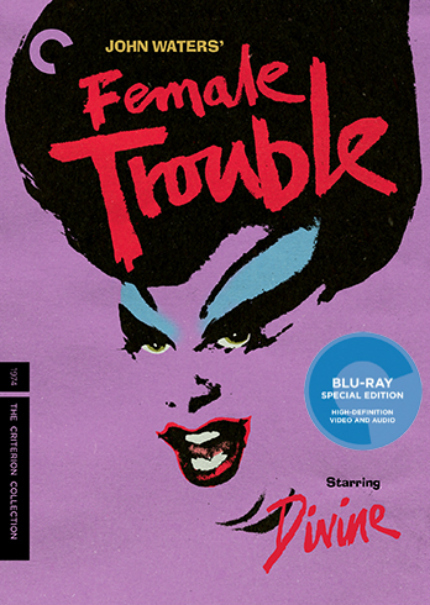 Of course I've heard of John Waters' Female Trouble! It's been newly restored in fabulous 4K and is accompanied by new (and archival) interviews and a lot of other supplements. Of course I've heard of Ingmar Bergman's The Virgin Spring starring Max von Sydow! Can't say I'm a huge fan of the revered director -- for me it's more like admiration -- but this new edition has been restored in 2K and features extra stuff too. Of course I've seen Bowling for Columbine! Michael Moore's incendiary doc is a good watch that's in no way fair or balanced, which is what makes it so much fun to watch. A new high-definition restoration will be featured, along with a new doc entitled Michael Moore Makes a Movie. I must hang my head in shame, however, because I have not seen nor heard of director Victor Erice's El Sur, nor about Lino Brocka's Manila in the Claws of Light before I received this press release in the mail. Aargh! Where have I been living for the entirety of my life, under a rock with no internet access? Feel free to boast about your superior knowledge in the comments section below. Or, perhaps you'd like to revel in your superiority by reading all the details about all of the Criterion Collection's planned June 2018 releases, by clicking a pointing device right here.